Maxi Dresses have such charm and aura to them that it will is not let this trend cool down for seasons to come. Layer them with cozy jackets or wrap around warm scarves, maxi dresses are still best during this Fall as well. So, there is no stopping me from adding few more of these beautiful maxi dresses into my closet. They make me feel so happy and relaxed specially when they come in such beautiful colors and prints. This beautiful maxi mesmerized me with its beautiful neckline and numerous color options available. I wanted a red one since long, hence the choice. Which color do you like most ?? To make a bold fashion statement with this beauty, I paired statement high heels. Surely, do not forget your bags for necessaries. 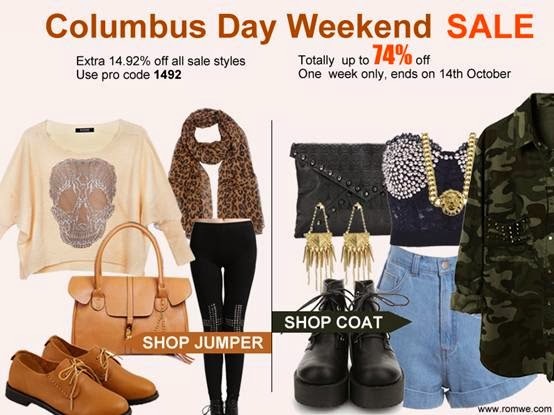 Up to 74.92% off .... From 8th Oct to 14th Oct !! Such a beautiful & elegant dress! Will have to pair it up with a blazer or cardigan for fall/winters out here! Really love maxi dresses and I think that yours is great!!! Love its color! Wow what a stunning and beautiful maxi dress!! You look amazing! This is such a beautiful dress and the colour is amazing on you! I hope you have a fantastic week ahead darling.